With over 17 million customers, GoDaddy is one of the most popular domain registrars out there. GoDaddy is also ICANN accredited and manages a whopping 40 million domain names. 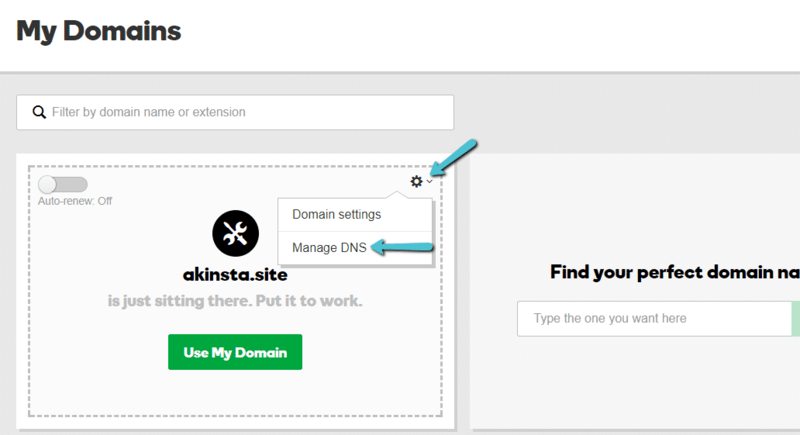 When you are pointing your domain to Kinsta you have two options, the first is to use an A record, and the second is to utilize Kinsta’s premium DNS feature with Amazon Route 53. The second option requires that you change your nameservers. 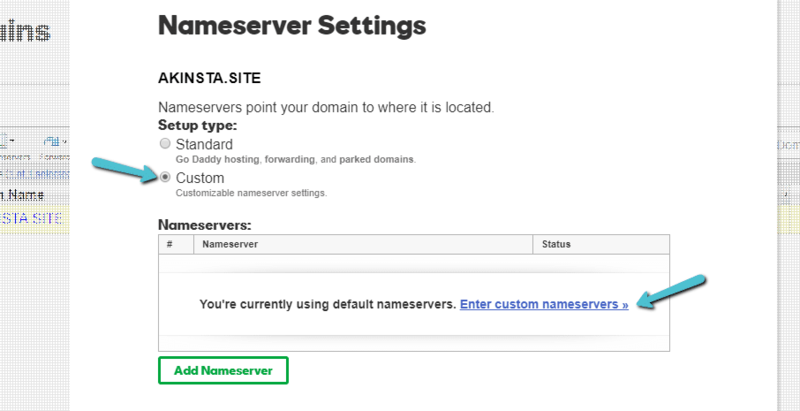 If your domain is at GoDaddy, this article will show you how to change GoDaddy nameservers to point your domain to Kinsta. Because GoDaddy lets you make this change in two different interfaces, we’re going to give you tutorials for both interfaces (you only need to make the change once, though). To help you find which interface you’re using, read the short section below. Then, you can jump straight to the tutorial for the exact interface that you’re using. 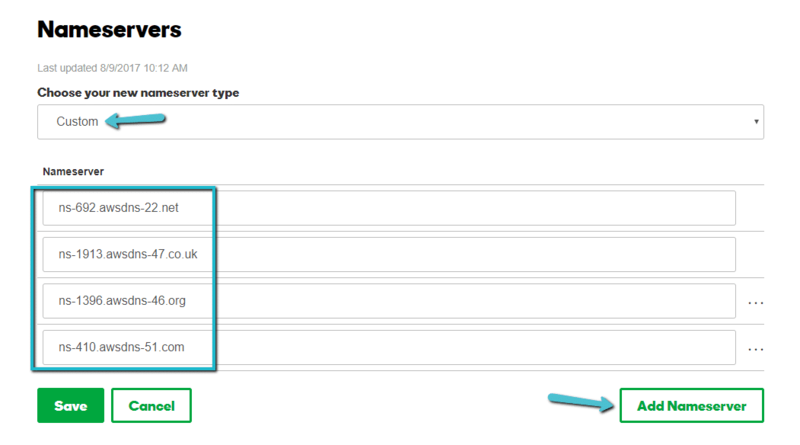 GoDaddy can be a little confusing because they actually offer two different interfaces for managing your domains. 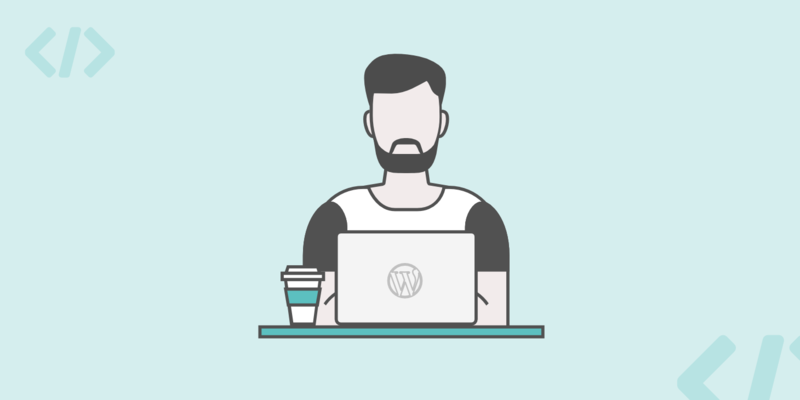 We’ll give you guides for changing nameservers via both interfaces. But before we do that, let’s figure out which interface you’re using. You can change between the two interfaces by using the highlighted options in the top right of the page. The following instructions apply to using the GoDaddy card view interface. Next, you should see the DNS Management interface. When you click on Change, GoDaddy will give you a drop-down that allows you to choose your new nameserver type. To use your own nameservers, choose Custom from the drop-down. Once you save your changes, you’re finished. It may take up to 24 hours for your nameservers to update, but you don’t need to complete any further steps. The following instructions apply to using the GoDaddy advanced list view interface. Check the box to the left of the domain you want to edit. And that wraps up how to change GoDaddy nameservers to point your domain to Kinsta.